Set your alarms for noon, when Hidden Hut’s June feast tickets go on sale. You’ll need to be quick; last month’s tickets sold out in less than a minute. More details here. Following the success of their Christmas market, the Old Coastguard is hosting another sale of produce from local suppliers at its summer market. There will be a range of food, drinks, and arts & crafts. Our friends at People & Gardens are helping harvest, cook and serve this three course feast at Heligan, in celebration of their 20th anniversary. For more details and to book tickets (£18pp) visit Heligan’s website. Borgia Bull is catering for these wonderful-sounding suppers at Polgoon Vineyard. £35pp, including a three course meal, glass of wine, and vineyard tour. For more details, see Facebook. Following last year’s successful debut, The Great Estate Festival return to Scorrier House, and promises “a rambunctious mix of comedy, theatre, music and the arts”. For full details and to book tickets, visit greatestatefestival.co.uk. 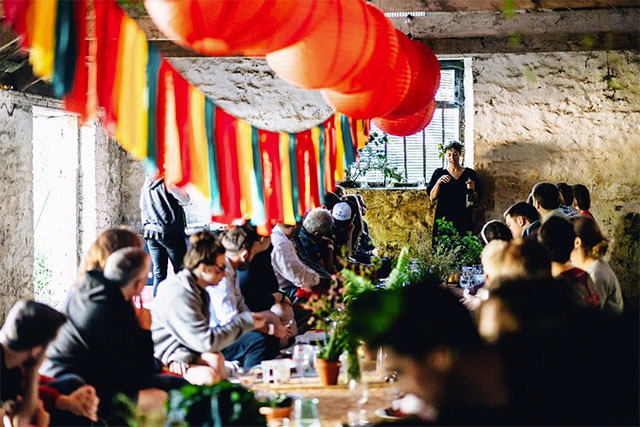 If you’re heading to The Great Estate then pre-book tickets for the Wild Wine Club’s special Galician themed feasts at the festival. Guests will be seated in the rustic horse shed (pictured) and can enjoy three courses with three glasses of carefully chosen wine for £39.50. Book tickets. 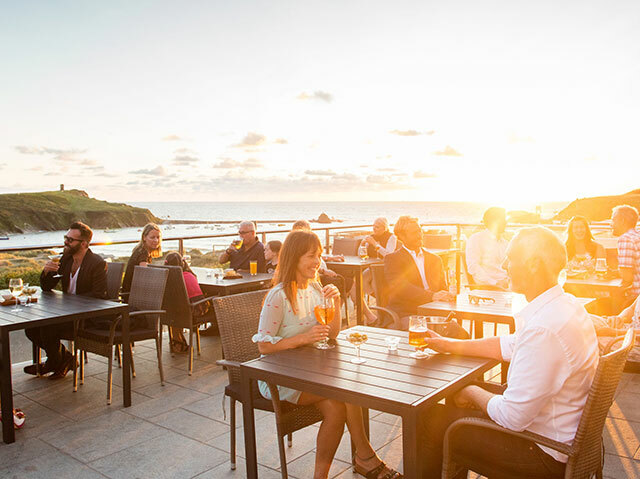 Celebrate the Start of Summer with a relaxed afternoon on The Old Quay House Hotel’s waterside terrace, with cocktails, canapés and live music. £15pp including a welcome drink from the pop-up gin bar. Phone 01726 833302 to make a reservation. Another celebration of English Wine Week, Tremenheere Kitchen will be serving a three course meal, each dish paired with a glass of Polgoon wine. Guests will also enjoy a glass of Polgoon’s fizz, whilst listening to a talk from John and Kim Coulson, the owners of Polgoon before supper. £35pp, book direct with Tremenheere Kitchen. Comedian Craig Campbell will appear at Una in St Ives as part of his “Easy Tiger” world tour. Comedy tickets £15pp, earlybird dinner available from 6.30pm to 7.30pm. Book for dinner and receive 15% discount. Full details here. The Royal Cornwall Show hardly needs explaining – the biggest event in Cornwall each year attracts around 130,000 visitors over the three days. This year’s show is the 225th, and celebrates food, farming and Cornwall on a huge scale. Full details online. Avoid the queues by booking tickets in advance. Bude-born Oliver Clarke, who is now head chef at No.15 Great Pulteney in Bath, will be joining The Beach’s Joe Simmonds to present an incredible-sounding six course feast at the hotel. For the full menu visit The Beach’s website, and to book a table phone 01288 389800. Delivered by Edible Art Patisserie, this workshop at Senara Restaurant will teach industry professionals to use hand crafting and silicone mould techniques to create lifelike fruit desserts. £79pp, for full details see here. 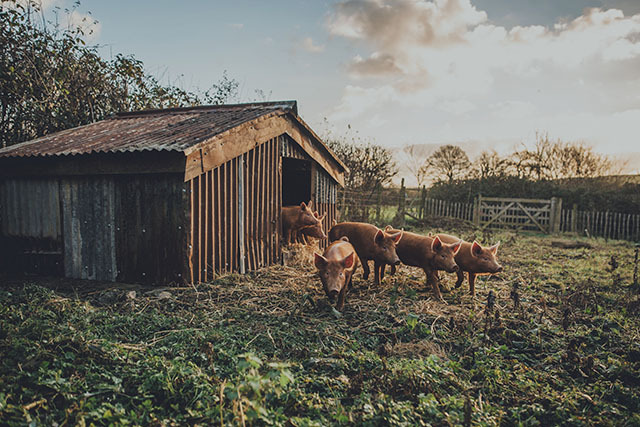 Expect three courses of delicious French food in Knightor Winery’s cosy threshing barn at this French-themed feast. £25pp, or £38 including winemaker tour beforehand. For full details, see Facebook. The menu for the Cornwall Community Foundation’s charity lunch looks fantastic; it features courgette flowers and salad from Padstow Kitchen Garden; fish from Matthew Stevens, fresh produce from Total Produce, wine from Debbie Warner of the Wild Wine Club and coffee from Rising Ground. All ingredients have been generously donated, meaning that all proceeds will go to the organisation which supports communities across the county. Helping Hands & Pans is providing a kitchen and FOH team, with the wonderful Stephane Delourme, head chef at The Seafood Restaurant, heading up the kitchen. 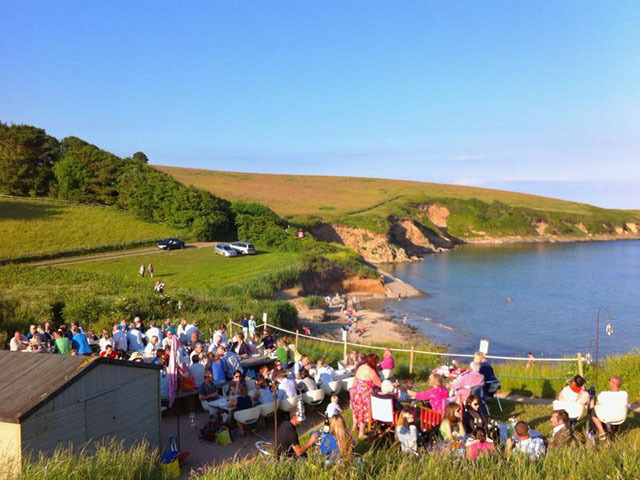 Craftworks Street Kitchen and Padstow Kitchen Garden are providing the kitchen and venue. £35pp for an appetiser, three courses, coffee and petits fours, a glass of fizz on arrival, and a glass of wine with lunch. Buy tickets online. 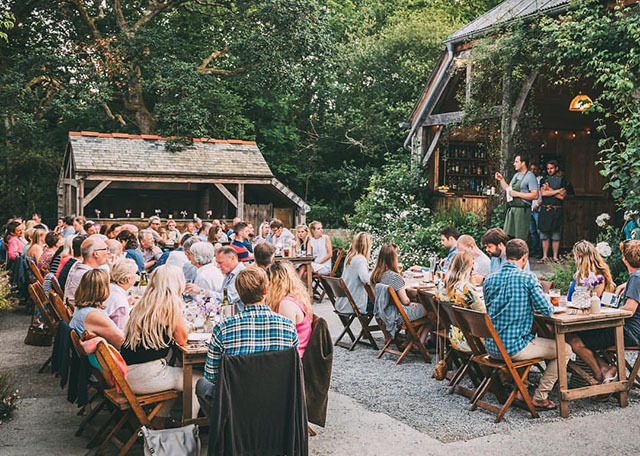 If the evening is mild, Nancarrow’s summery feast will be held in their beautiful courtyard, surrounded by flowers and foliage in the heart of the farm. The menu will feature Tamworth pork, and the first of the apricots. £40pp. Dinner, bed & breakfast also available for £190 for two people, book online. There’s not a lot better than fresh Cornish lobsters, cooked on the wood-fired grill, and served with heaps of chips, salad and aioli. Book online. After a successful first evening event last month, Lily’s of Truro‘s next event will have a Spanish theme. Guests will enjoy a glass of Sangria on arrival with a welcome tapa, two tapas dishes for a starter, and four more as a second course. There will be a selection of Spanish wines and cava available to purchase on the night. £29.50pp, book online. Knightor Winery has teamed up with Rathlee Distilling Company Ltd. for a Cornish-Colombian rum feast. £40pp including welcome cocktail and six courses, £54 with additional pre-dinner wine tour. For more details, see Facebook. Treat your Dad to a relaxing afternoon at The Rosevine, at their annual BBQ. Booking essential – phone 01872 580206. Nancarrow Farm is a magical place; if you haven’t yet visited, I urge you to do so. The feast nights are gorgeous, with guests seated on long tables in the beautiful oak-framed barn, or in the courtyard if the weather is favourable. The menu for the Midsummer Feast will feature home-reared organic beef for the main course. £40pp. Dinner, bed & breakfast also available for £190 for two people, book online. The Old Market’s next feast night will feature a whole Cornish lobster, served with herby butter, funky chips and green salad. Wine, beer and soft drinks will be available to buy on the night. Bring your own plate, cutlery and glass, and a blanket in case it gets cold. £30pp, book online. 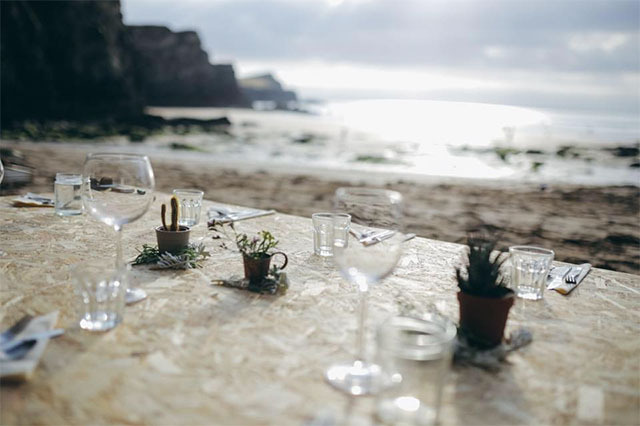 The Beach at Watergate Bay is holding an Argentinian barbecue and bonfire, with three courses of grilled meats, vegetables and salads, charred fruit and dulche de leche. Dinner will be served inside on long banquet style tables with a bonfire on the beach and live music. £60pp for food and entertainment, book online. 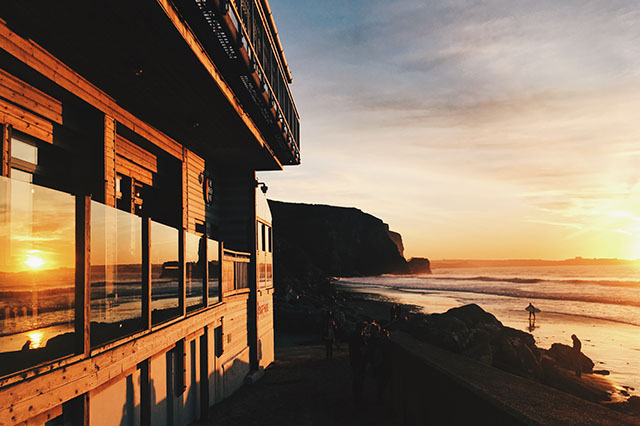 This month, the Sky Bar makes its first appearance at Watergate Bay for two nights of aprés-sea fun. Grab a drink from one of the six bars, watch the sunset, enjoy great street food and brilliant music. Book tickets online. Join Ross Geach at his farm near Padstow for a lobster lunch at 1pm on 23 June. 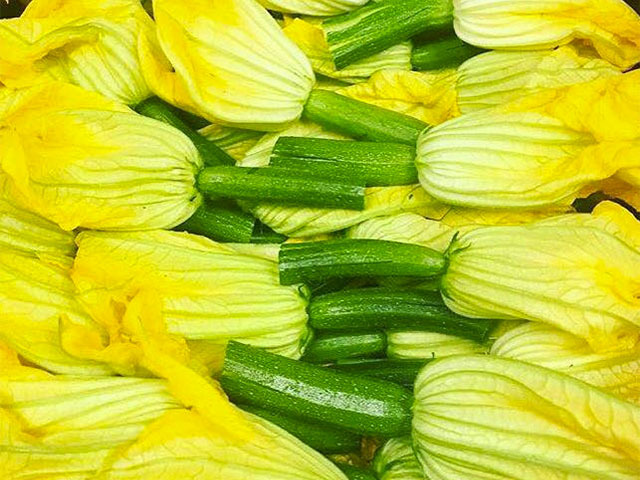 Expect tempura courgette flowers and more from the kitchen garden, barbecued lobsters from the Murt family, and dessert. Guests can bring their own wine, but there’ll be wine for sale on the day too. £40pp, email [email protected] to book. A Kerelan feast of flavour-packed vegetarian curries, inspired by Simon Stallard’s travels. Ideal for vegetarians and vegans. £14pp, book online. Book for either the afternoon or evening session at the Cornwall Gin Festival in Truro. Each session will feature music, cocktails, gin talks and demos, and food stalls. £12pp, book online. 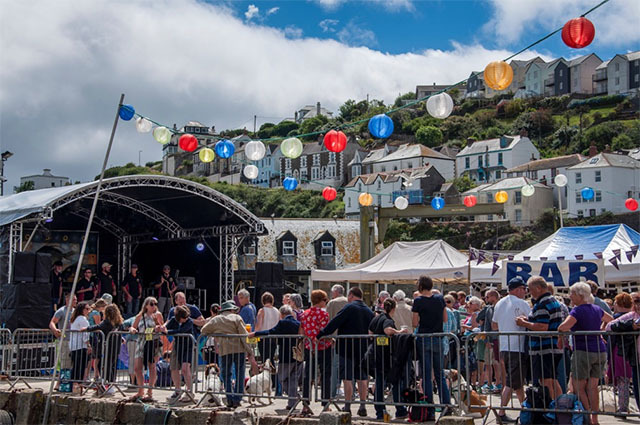 Mevagissey Feast Week kicks off with its annual Fish Festival on the Sunday, a celebration of Mevagissey’s fishing heritage and the feast of St Peter, patron saint of fishermen. There will be an array of locally caught fish dishes cooked and served up on the harbour, a beautiful fruits de mer display and auction, and a fish procession through the town. There’s also a real ale bar and live music from noon until 10pm. For more information visit mevagisseyfeastweek.org.uk or visit the Facebook page. There’ll be live music and a feast on the barbecue, including smoked bacon and cherry skewers, lamb chops, pork belly, chilli and ginger chicken kebabs and teriyaki steak strips. £20 pp and dessert £5 pp. To book, see website. A weekend for all the family to celebrate the start of summer with non-stop music, traditional garden games, face painting, story telling, mask and hat making each day. There will be around 30 ales from Cornish breweries and throughout the weekend there will be barbecue that will cater for all. The Old Coastguard restaurant will be open as usual. Entry is free of charge and open to all. For full details see Facebook. 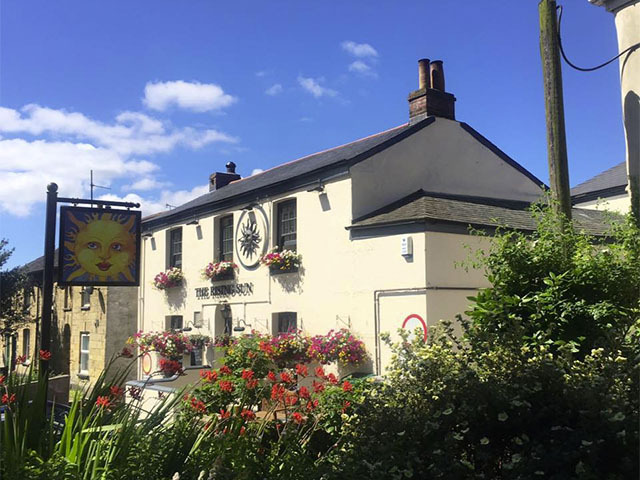 Truro’s The Rising Sun is hosing a beer festival, with a selection of award-winning national and local real ales on offer, acoustic sessions, and great food from the courtyard barbecue. Restaurant, hotel and bar owners are urged to take part in Hospitality Action’s Social Sunday, when proceeds from lunch on 1 July are donated to Hospitality Action, the charity which supports people who work, or have worked, in the hospitality industry, and are in crisis. For full details of how to take part, see website. Penwith College students will be joined by top chefs Nik Boyle, Stephane Delourme, Jude Kereama and Stuart Pate for a three course feast and screening of Moulin Rouge. Arrival drinks, canapés, three courses, coffee, petits four, ice cream and popcorn, and matching wine list by Elly Owen. £45pp, phone 01736 335215 to book. This five course candlelit feast on a long table on the beach at Mawgan Porth will feature wines from the South African Western Cape, expertly matched by sommelier Debbie Warner. £65pp, book online. If you’re a barbecue fan, head to Pentillie Castle for their Pengrillie BBQ Festival on 15 July. Full details on their website. 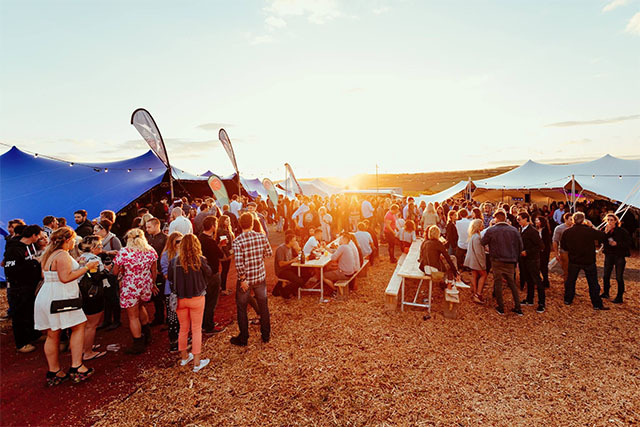 Blue Fizz Events is bringing an evening of 70’s funk and soul to Padstow, with food from Woodfired Canteen, drinks from The Buffalo Bar, and live DJs. 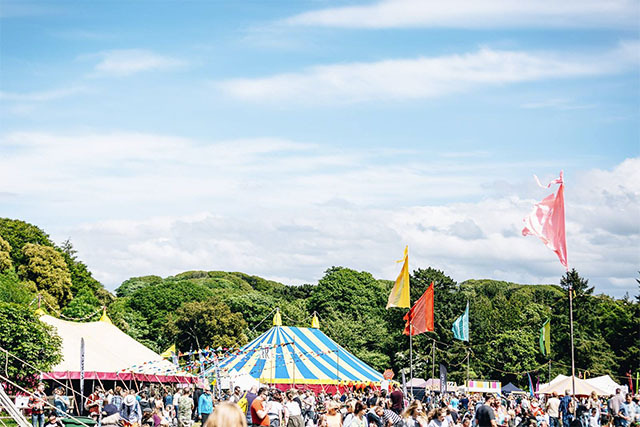 £45pp (includes a drink on arrival, two course festival style feast and entertainment). Buy tickets online. 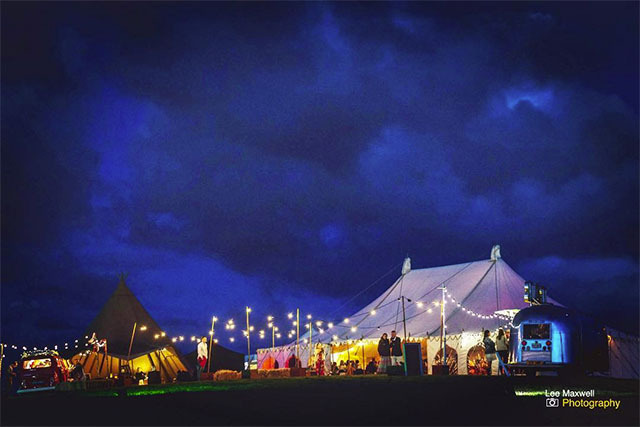 The following night, Trerethern Farm will be home to The Barefoot Ball, a boho-themed evening of feasting (food from Woodfired Canteen and Padstow Kitchen Garden) and music. £55pp (includes a welcome drink, three course gourmet banquet and entertainment). Buy tickets online. 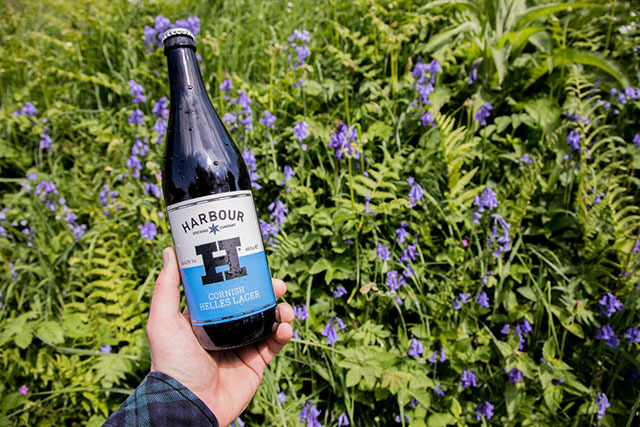 Harbour Brewing has launched a new Cornish Helles Lager in 660ml bottles, just in time for barbecue season. The award-winning beer will be available in Morrison stores across the country, priced at £1.93. The 4.3% ABV lager, which received a silver award at the 2018 South West Independent Beer Awards, features the traditional crisp and clean flavours associated with the Germanic style, with light citrus notes. See more. Congratulations to The Longstore on their recent successes. Not only did the Charlestown restaurant win Muddy Stiletto’s “Best Restaurant in Cornwall” award, executive chef and Fifteen graduate, Ben Ambridge, was presented with the “Progression Award” at Fifteen Cornwall’s graduation on 9 May. 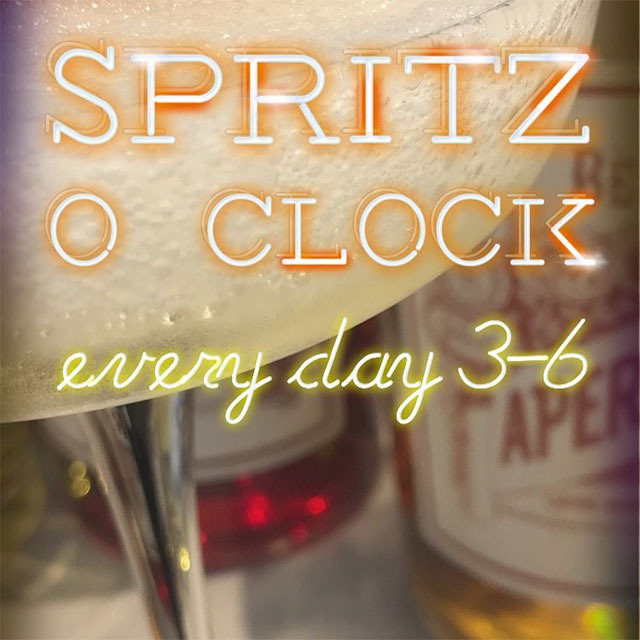 The fabulous Appleton’s at the Vineyard is now open every afternoon, Wednesday to Saturday, for their version of happy hour: Spritz O’Clock. Between 3 and 4pm all spritz (including Prosecco and sparkling rosé) is £4, between 4 and 5pm they’re £5, and between 5 and 6pm they’re £6. There are new comfy sofas on the deck – the perfect place to enjoy a drink in the sunshine. From mid June the restaurant will be extending its opening hours, and will be open from lunch through to dinner from Wednesday to Saturday, and Sunday brunch. 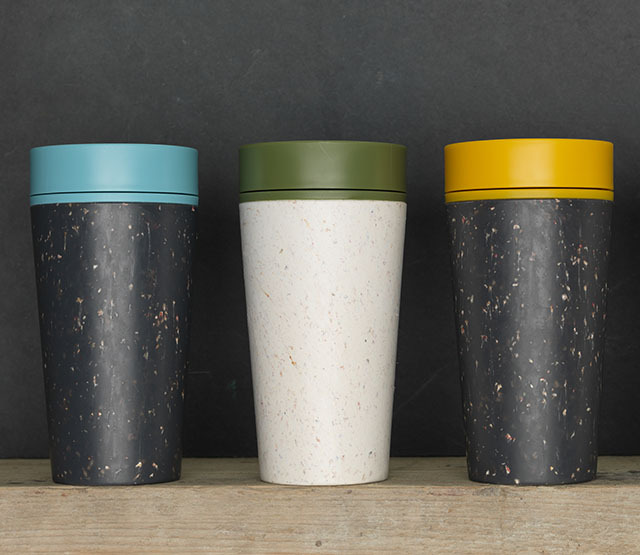 Perranporth based design company ashortwalk has designed and launched the world’s first reusable cup made from used paper coffee cups, the rCup. The cup is leak proof, fully insulated, and has a specially designed lid, so you can drink from any side, rather than through a small hole as with most reusable cups. It is priced at £12 and is available to buy online, as well as from Watirose, John Lewis, Steamer Trading and the Woodland Trust. Sam’s in the City is running new “Steak and Soul Sundays” every Sunday from 12pm to 7pm. 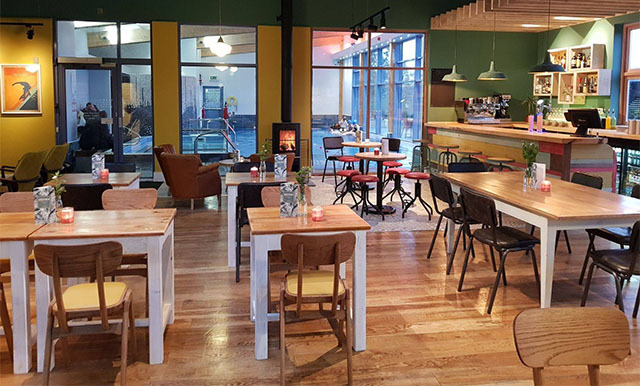 An alternative to the traditional Sunday roast, Sam’s will be going for a northern soul vibe with generous portions of their signature style food. 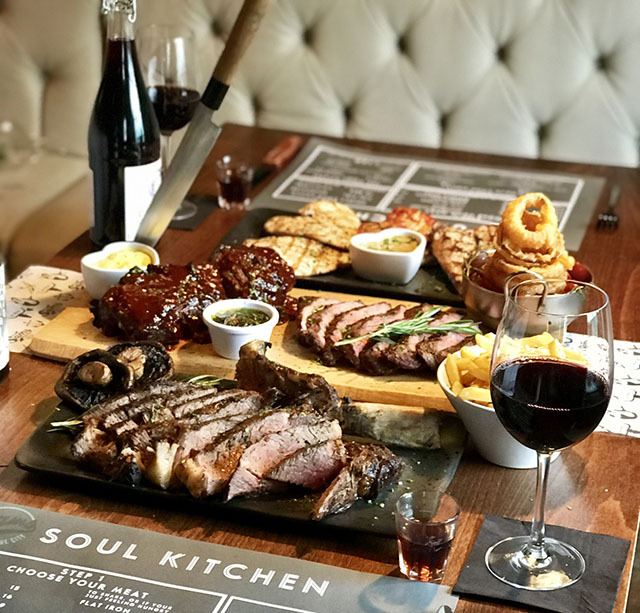 There is a huge sharing platter for four, featuring a côte de boeuf, ribs, pork, chicken, fries, slaw, trimmings and sauces, for £120, or £150 including two bottles of house wine. Alternatively you can pick and mix your own combination, choosing your meat, sides and sauces. On Father’s Day (17 June) there will be live music and all dads get a free pint. 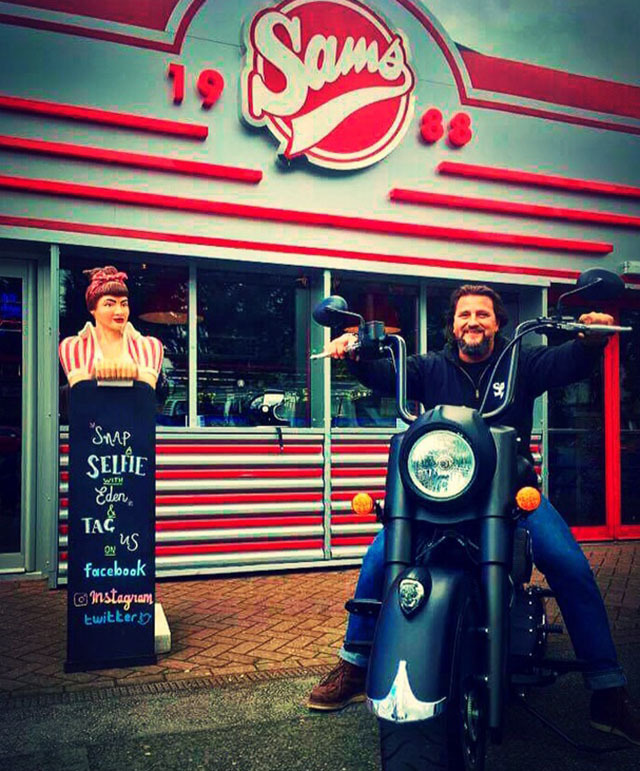 Sam’s Diner near St Austell has regular Wednesday Bike Nights from 4pm to 9pm, where all bikers are offered free coffee. On the menu is the £5 Junkyard Dog, Sam’s original Bockwurst Dog topped with cheesy chips, fried onions and pickles. Due to high demand, takeaways are also available from the diner – burgers, dogs, salads, shakes, dirty fries, deli sandwiches, or just a coffee. For the full menu see website, 20% discount for takeaway orders. 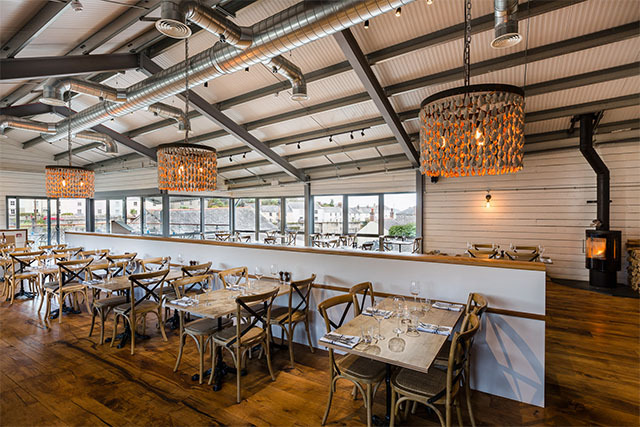 The Park at Mawgan Porth’s restaurant, The Kitchen by the Beach, has been recently refurbished, and includes a new soft play area as well as being dog-friendly. Every Friday is “Fish and Chips Friday”, and on Sundays enjoy a Sunday roast. On the last Thursday of each month is a theme night with live music. This month it’s a Summer BBQ on Thursday 28 June. Fifteen Cornwall is offering three small plates for £18, available Monday to Saturday until 23 June, excluding holidays and bank holidays. West at Porthmeor Beach in St Ives is open again for the summer, open for breakfast and lunch, pizzas and curries, every day from 9am to 9pm. Temple in Bude’s Sunday Sessions run from 12pm to 6pm, with live DJs and special Sunday dishes on the menu. Timothy Dean, of Tim’s Place in Wadebridge, is now offering private dining services. Tim will cook his signature dishes in your own home, provide canapés, or even take his Big Green Egg to your beach barbecue. For full details, including menus, visit timothydean.co.uk. Congratulations to the Polgooth Inn in Polgooth and The Ship Inn in Pentewan on making the final six of the BII Licensee of the Year 2018 Awards. Fingers crossed for the finals on 4 June. Wonderful news from Camel Valley recently, which has been granted a Royal Warrant for the supply of English sparkling wines by command of HRH The Prince of Wales. The Fish House at Fistral’s special dish for June is an amazing whole turbot, roasted on the bone for two to share. Not to be missed! The restaurant is open every day for lunch and dinner. The Barley Sheaf on Old Bridge Street in Truro has reopened after standing empty for a year. Good luck to new landlords Luke and Dee Wills. We’ve recently heard about the Pay as you feel meals by social enterprise Real Junk Food North Cornwall. 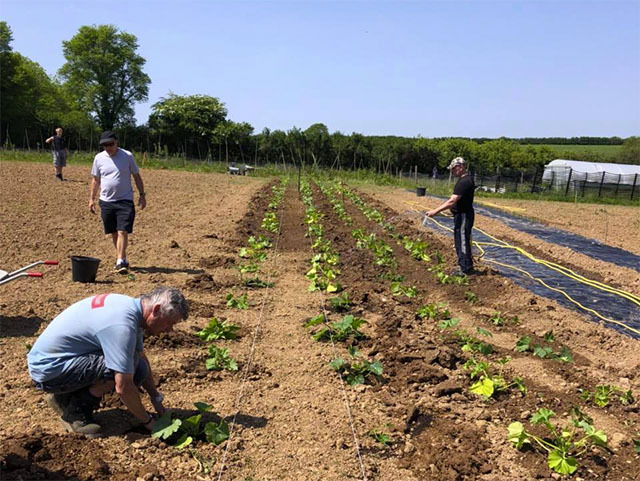 These take place at 6pm on the 2nd and 4th Friday of each month at St Kitts Herbery, and consist of local ingredients which would otherwise have gone to landfill, anaerobic digestion, or animal feed. For up to date event information see their Facebook page. Tickets are now on sale for The Snow Ball, in aid of the MS Society. The dinner dance will be held at Tregenna Castle on 23 November; tickets are £35pp to include an arrival drink, three course meal, live music from Sandy Acre 7 and a disco. For more details see Facebook. Please email us your news for the July Foodie Diary by Thursday 21st June.